The event was organized jointly with the leadership of the Ghanaian Canadian Association of Ontario (GCAO). It took place on Oct. 18 at the Ghana Presbyterian Church in Toronto, and was attended by more than 70 people. The conversation explored the role of race and racial discrimination in the lives of Black continental Africans in Canada, with emphasis on people from Ghana, and examined how the cultural attributes and socioeconomic status of these immigrants have changed as a result of living in Canada. Key topics of discussion included culture and identity, successes and pitfalls of the immigrant story, youth development, mental illness, the criminal justice system, and the cultural clash between African parents and their Canadian-born children. “Arguably, it is when Black Africans venture outside the continent that their sensitivity to race is stirred up the most,” said Mensah in the 2014 article titled “Black Continental African Identities in Canada” published in the Journal of Canadian Studies. 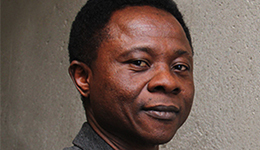 Mensah has conducted cutting-edge research on migration, diaspora and transnationalism pertaining to continental Africans in Canada for much of his academic career. The conversation provided an opportunity for community members – still mourning the loss of three of their own to gun violence in Toronto – to hear about the work of Louis March of Toronto’s Zero Gun Violence Movement. Members of the community were encouraged to participate in the activities of the movement to help rid the city of gun violence. Panellists and community members identified challenges, opportunities and areas of collaboration within and outside of the Ghanaian community for future engagements. 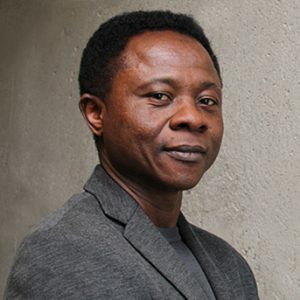 GCAO President Emmanuel Duodu lauded York University, in general, and Mensah and his colleagues, in particular, for the outreach, which he hopes will continue to help bridge the academia-community gap. In response, Mensah reiterated the need for community-based experiential education and research that can form the basis for social justice activism. Other members of the panel included social work Professor David Firang from Trent University, as well as religious, community and youth leaders of the Ghanaian diaspora in Toronto. At the end of the evening, community members called for followup Community Conversations, and both Mensah and Bawa promised to liaise with the GCAO to make this happen. Community Conversations is an initiative of the Office of Global & Community Engagement (GCE) in the Faculty of Liberal Arts & Professional Studies. GCE funds Community Conversations, connecting the Faculty and York University with a variety of community groups and members within the Greater Toronto Area. For more information on GCE, email gce@yorku.ca. For more information on Community Conversations, visit the website.